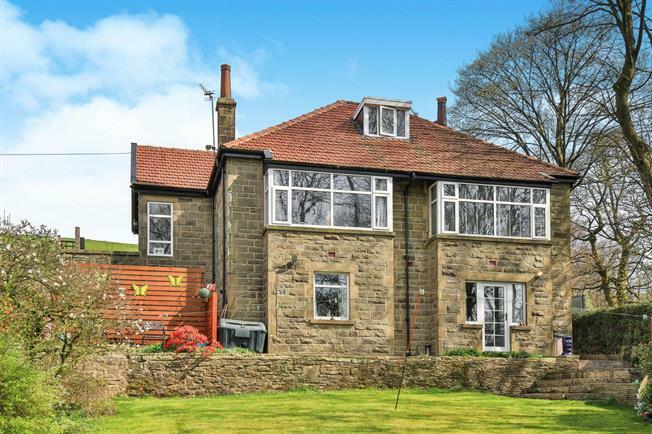 3 Bedroom Detached Bungalow For Sale in Rossendale for Offers in the region of £350,000. Recently Refurbished Detached bungalow that offers versatile living options as a family home. The property accommodation is set over three levels, to the ground floor the property benefits from two double bedrooms, family bathroom, lounge and fitted kitchen, the lower level offers WC and second reception room/bedroom with door leading to the rear garden with beautiful views overlooking the park, to the first floor a further double bedroom with walk in wardrobe. The property also benefits from driveway to front providing plenty off road parking. A MUST VIEW TO APPRECIATE TO THE SIZE OF LIVING ACCOMODATION.